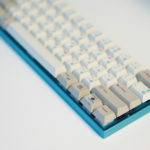 The finished product – a ZealPC Zeal60 with holtite mod, Zealiostotlespacers, Originative Modern Beige Japanese keycaps resting in a Sentraq teal aluminum 60% case with teal plate. 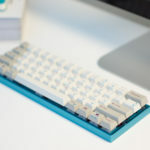 After much research, I decided to assemble a keyboard using hand-picked parts. 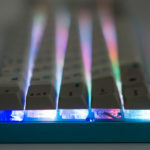 This led me to a few easy decisions: I would go with a ZealPC Zeal60 as it supported SMD LEDs, was programmable via QMK, was 60%. 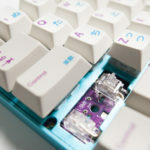 I’d also opt for Zealio 65g switches as they had great tactile response, and were fairly quiet when combined with Zealencios. What I didn’t see coming was the arrival of the test Aristotle stems (via /r/mechmarket) and a last-minute purchase of JSpacers from The Van Keyboard. These were for two different projects, respectively: Gatistoles and Jailhoused Outemu blues. During those projects I got to wondering if I could mix the results, and sure enough, figured out a way to add JSpacers to Gatistoles. 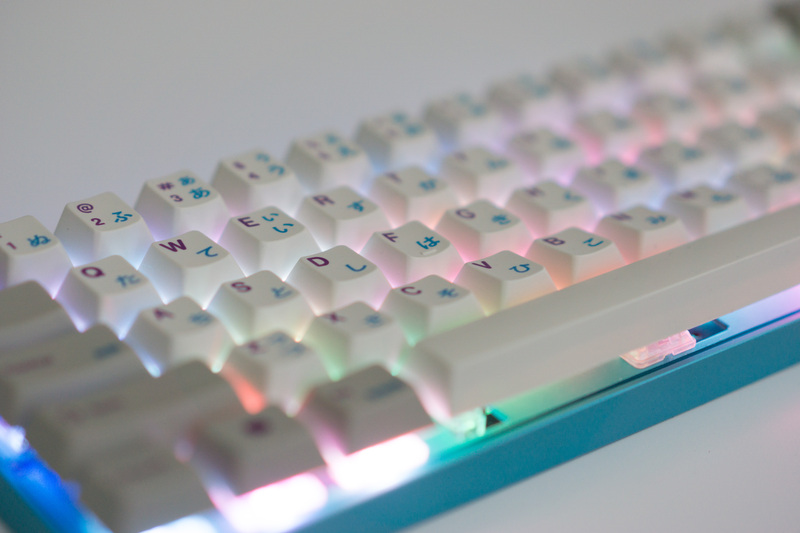 Not satisfied, I ended up trying this same mod in a Zealio housing, and then to seal the deal, put some Zealencios on top. 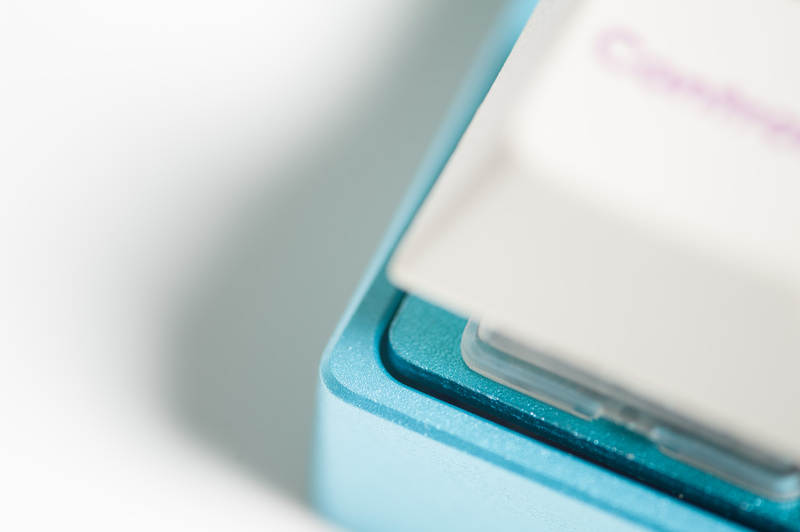 This led to a tactile switch that was very quiet – more so than a typical dome keyboard. 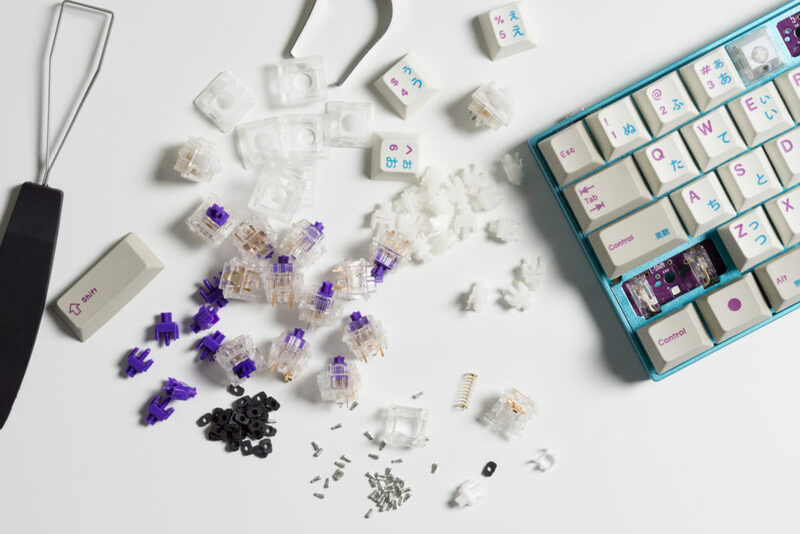 Parts required for a “Zealiostotlespacer” – The Van Keyboard JSpacers (black rubber, bottom left), Zealios Switches (purple switch, middle), Aristotle switch stems (white, top right), and Zealencios (clear, top left). 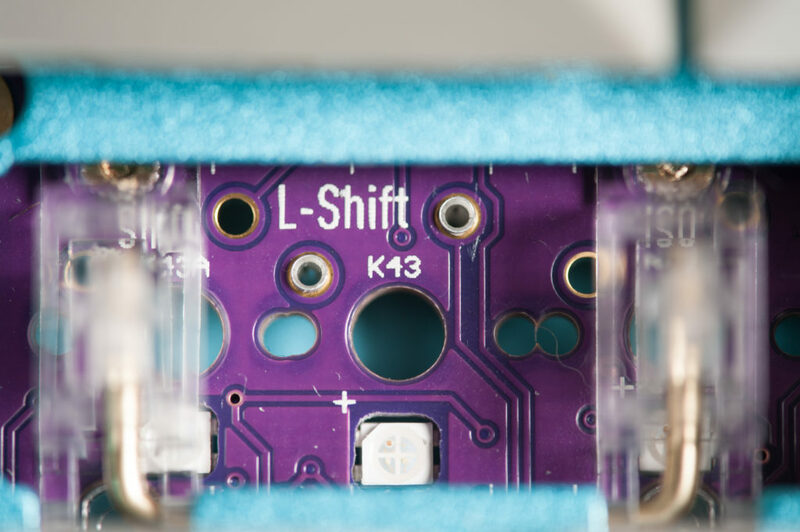 This creates a tactile, non-wobbly switch that is both satisfying and almost silent. 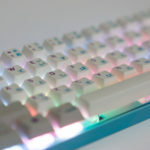 In order to be able to cold-swap switches as with the TeamWolf Zhuque+ and PC Gaming Master Race Mechanical Keyboard, I’d need to sort out a way to replicate the recepticles each of these boards implement. 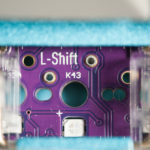 After doing a lot of research into LED sip sockets that might work, I stumbled across a Linus Tech Tips forum post about something called “holtites” which were used for this purpose. A few Reddit searches later I found out that the TE AMP connectors would fit the bill, and made a spur of the moment DigiKey order. 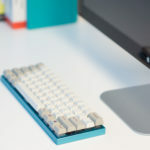 Here you can see the Holtites installed in the Zeal60 board – they are flush-inserted using a spudger and a rotating motion to keep them snug. Now that I had the switches and board picked out, I was left with a tough decision regarding the case and plate. 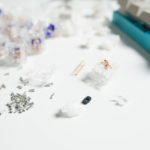 Nothing I could find actually had the proper mounting standoffs for the Zeal60 PCB, most were of the “Poker” variety, which were missing top screw standoffs, as well as one lower-left. It looked like I had to compromise, and seeing as most 60% cases seemed to be incredibly similar, I ended up going with a Sentraq aluminum case and plate based on looks alone. 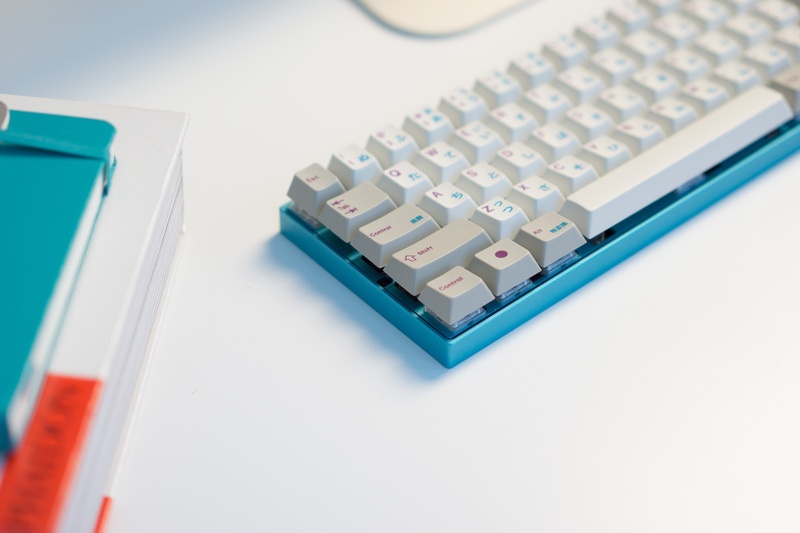 I ended up getting a cyan case and plate, as well as purple versions of the same, intending to try and colour match the Zeal60. 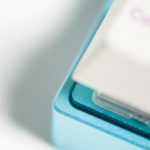 It later turned out that I preferred the cyan varieties, which you’ll see in the shots. 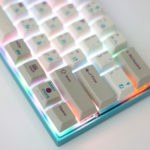 The Sentraq case with the Zeal60 is not without problems: both cases prohibited me from screwing in the leftmost PCB screw, and both seemed to have the wrong thread on the top left standoff. Nothing altogether impossible to get around, but disconcerting all the same. Furthermore, the fit and finish of the top plate in the case wasn’t great, causing the right side to be less snug than the left. 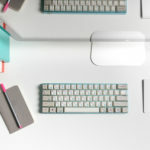 All of this to say: I’m still on the lookout for a case and plate that fit well together, and have not ruled out making my own. 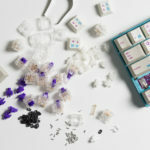 As for the keycaps, I searched all over, asked around and tried a few OEM samples and was not satisfied. 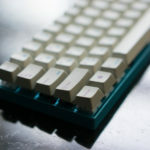 I ended up purchasing an Originative Co Modern Beige purple set with kana legends which I am happy with in terms of looks, fit and sound, but am not sure they are fit for work. 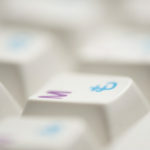 In other words – I’m still looking for a good set of keycaps. I’ve been told GMK might be the best call for the Aristotle stems, and as soon as I have a sample of them, I’ll report back. 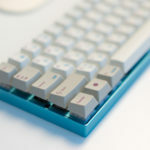 The Cherry profile is perfect for the Zealencios, which didn’t work very well with the OEM keycaps I had tried previously. 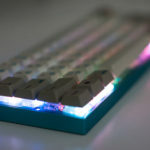 Finally, regarding the LEDs: though I was not at all interested in RGB LEDs (preferring white when possible), I ended up actually really liking the default rainbow profile (fn1+2). This is a bit colourful for most, but as I have them turned off most of the time, the assumption is that I’ll be the only one seeing them. The SMD LEDs are fairly bright when set to max! 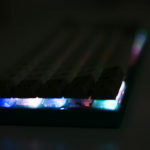 Yet another shot of the LEDs – I’m impressed with the work ZealPC put into these. 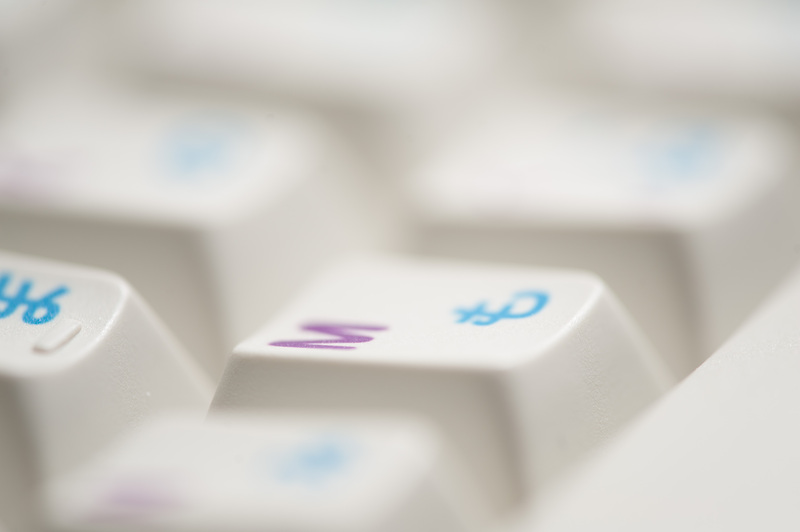 They are on the back of the PCB so your keycaps don’t hit them when you depress keys. I find the SMD LEDs a bit distracting at full brightness during the day, and typically set them to two notches above off at night. 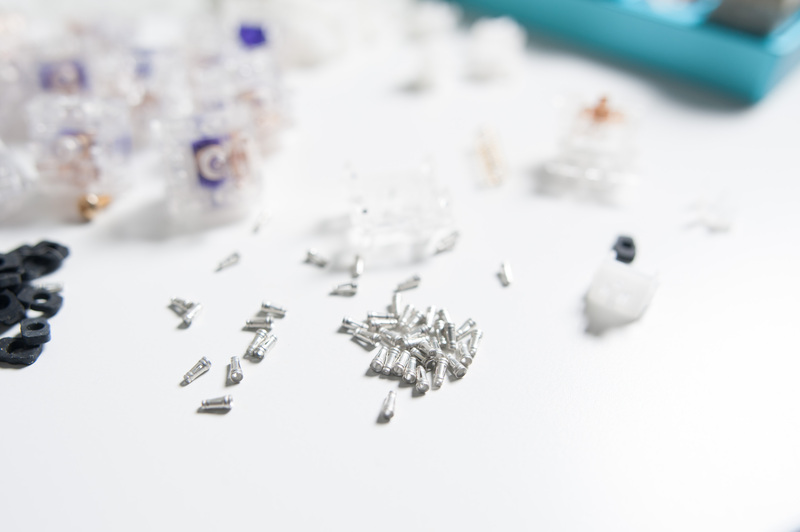 Turn on the bright lights – these SMD LEDs are fairly bright. Please ignore the molded USB mini cable, it’s got to go. 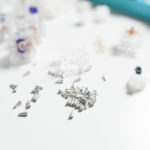 So many parts involved in creating a Zealiostotlespacer. 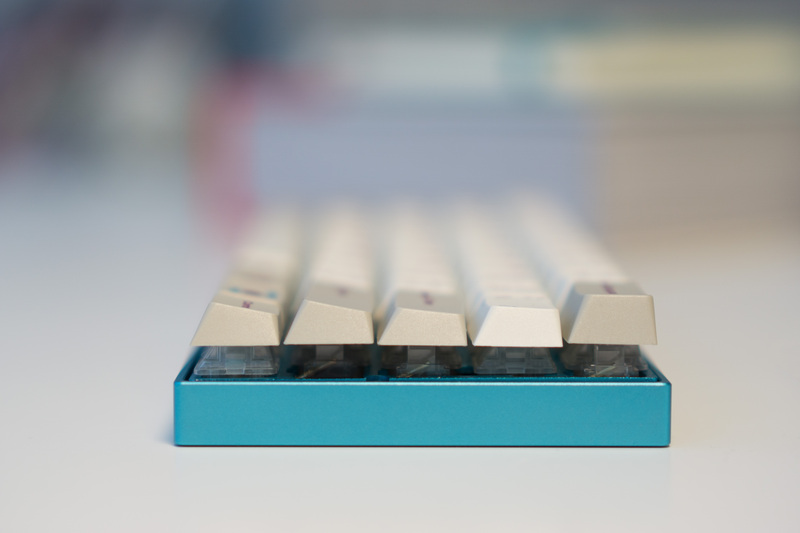 Another fit and finish shot of the Sentraq teal aluminum case and plate. 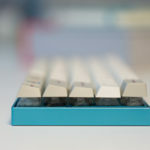 I still think these Originative Modern Beige keycaps are a great match! 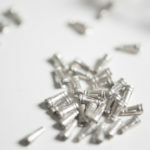 A close-up of the TE Connectivity AMP Holtites purchased from Digi Key. So many colours! The SMD LEDs were a win, though I wasn’t convinced that I wanted them at first. At lower brightness these aren’t distracting at all. 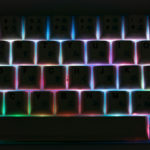 Shot in the darkness – I’m really liking the “rainbow” effect. 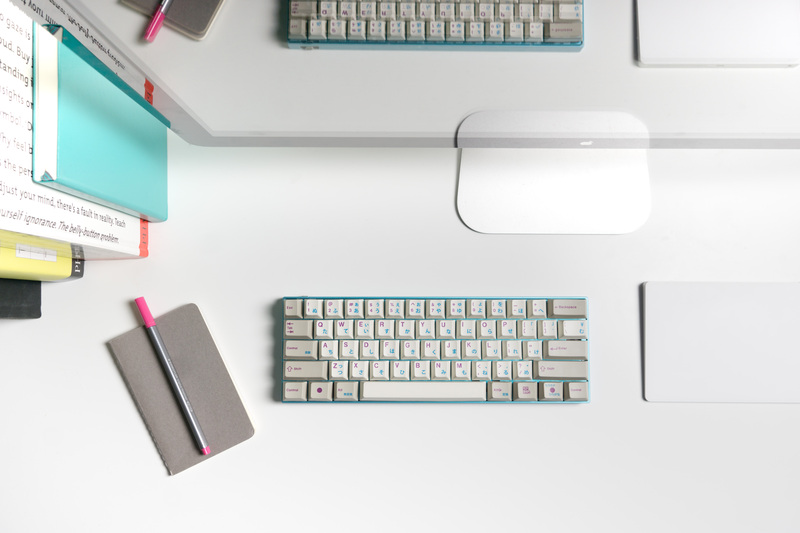 The finished product – a ZealPC Zeal60 with holtite mod, Zealiostotlespacers, Originative Co Modern Beige purple + kana keycaps resting in a Sentraq teal aluminum 60% case with teal plate. I’m really liking the feel of these keys – it’s hard to get over the way they feel as it’s nothing like anything I’ve tried before. 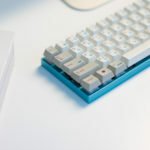 The Cherry profile is perfect for the Zealencios, which didn’t work very well with Gateron or OEM keycaps I had tried previously. Some detail of the case and plate fit and finish. 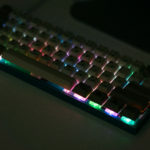 Another profile shot of the custom keyboard at work. Note that it’s missing a cable, I’m still on the lookout for a good “birthday cake” paracord cable.